Board index General Introduce Yourself / Gallery - Please use metric weights. Frankly, first color combo on a C64 that I actually like!! 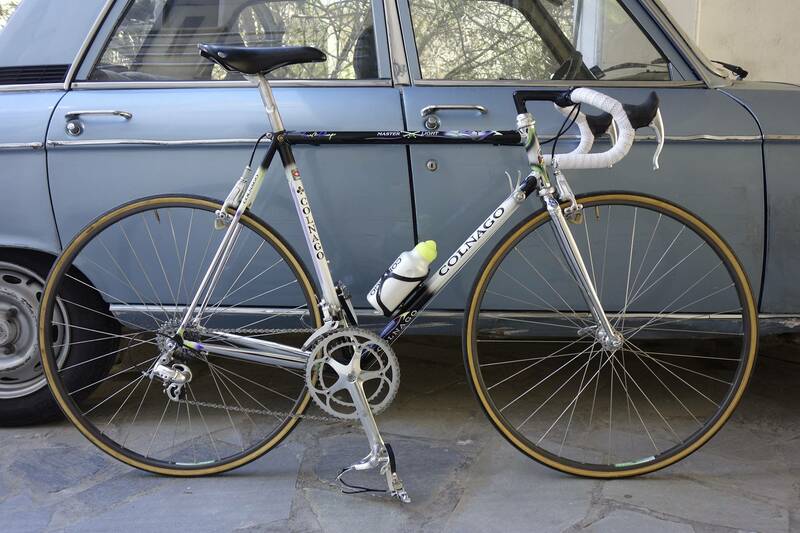 Wishing they did a Zabel blue or the Saronni red or simply a plain black with faded lettering! I agree, I like that color scheme. 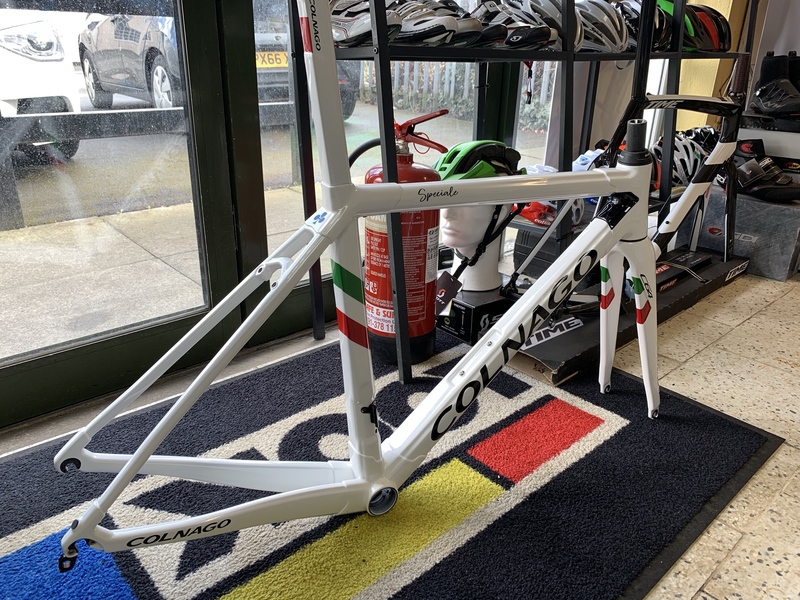 What have you got planned for the rest of the build? That’s not a bad colorway... looks like they got rid of that red pinstriping that muddled up their last predominantly white version. I like it. 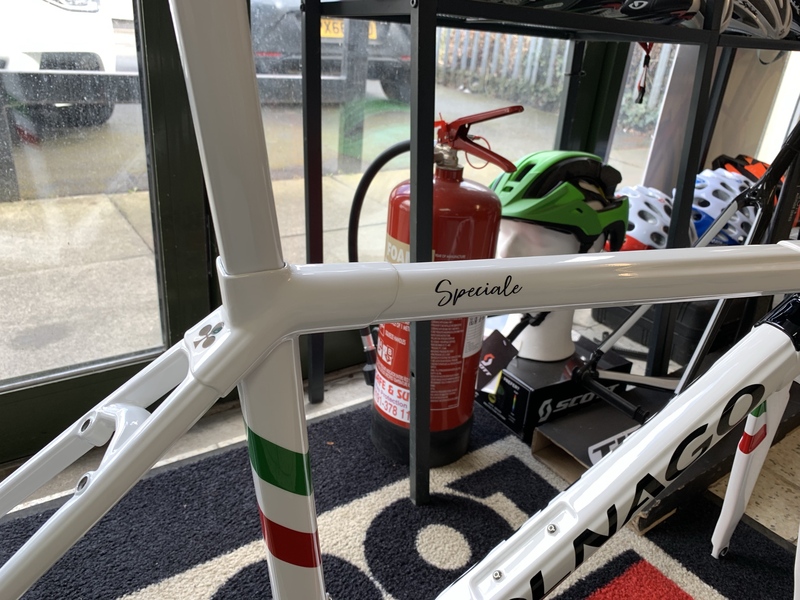 Wait... What’s that “Speciale” on the top tube close to the seat cluster where I might be expecting Ernesto’s signature? Maybe he’s not signing off on this one. Not sure how I feel about that, but I suspect his signature is on the other side at least. That new main font/typeface hasn’t won me over yet either. Was this a custom paint selection through their new “paint by number” system? 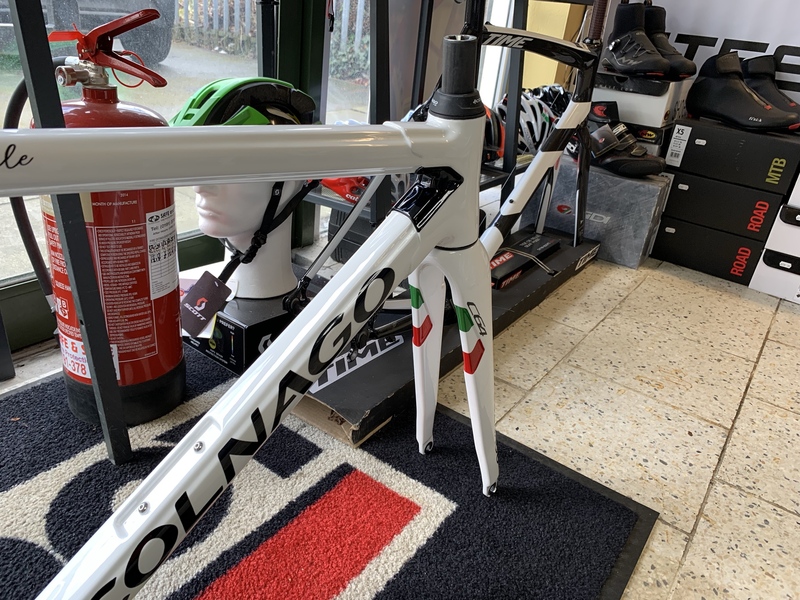 Last edited by Calnago on Thu Apr 04, 2019 8:16 pm, edited 5 times in total. 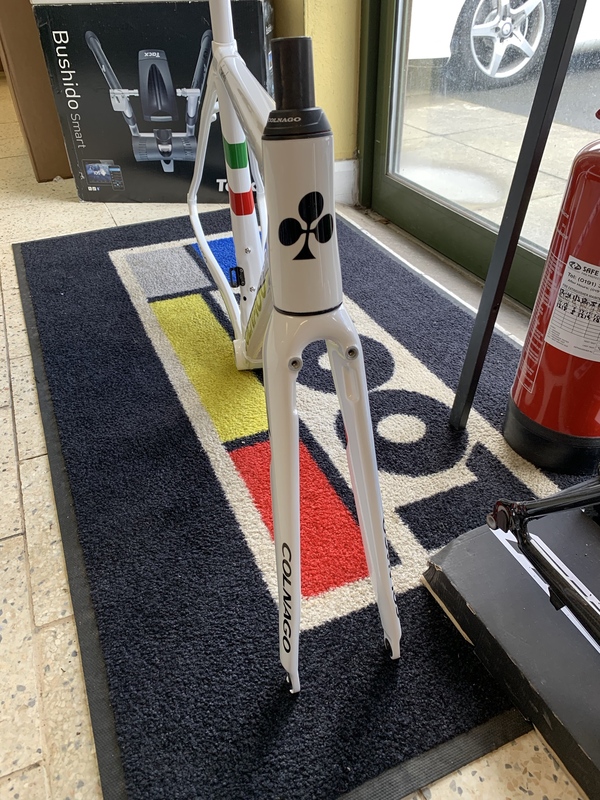 I figured, according to ipenguinking, Colnago custom factory paint won't let you omit the signature. I really like it. 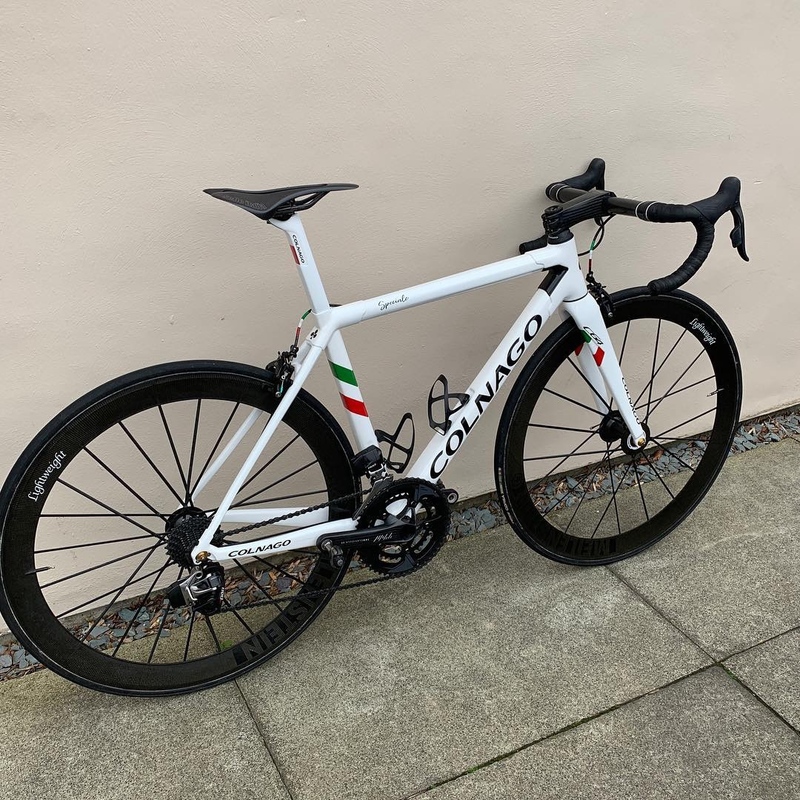 Love the white colnago frames. 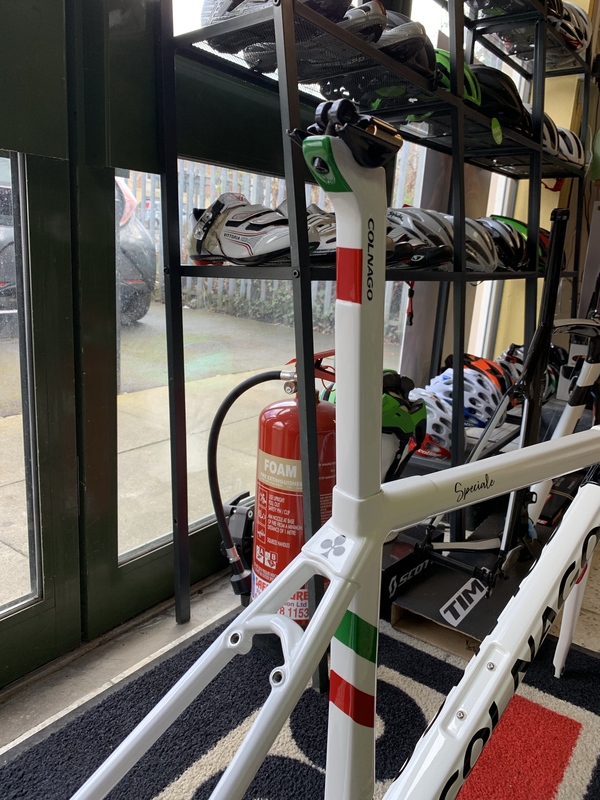 Awesome, I like what you've done with the break cables, matching Italian flag. I nice spread sheet with weights would be good. by DaveChow » Sun Jan 27, 2019 8:37 am » in Introduce Yourself / Gallery - Please use metric weights. by billspreston » Sat Dec 15, 2018 8:27 pm » in Introduce Yourself / Gallery - Please use metric weights.